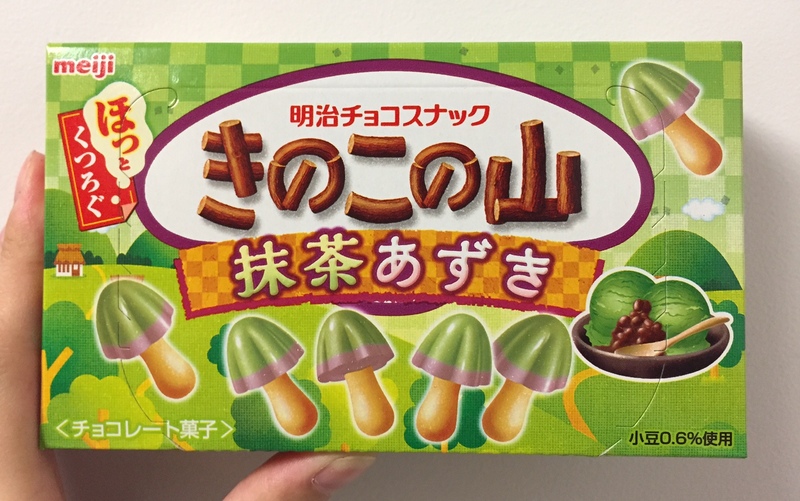 Kinoko No Yama "Matcha Azuki"
Meiji launched "Kinoko No Yama Matcha Azuki" on May 23, 2017. 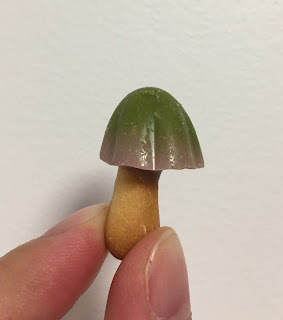 Kinoko No Yama means a mountain of mushrooms and azuki is sweet red bean jam. On the right, there're 2 scoops of matcha ice cream with azuki and on the left of the product name, it says, "Feel relaxed." Velvety macha chocolate layered with lightly azuki flavored chocolate over crispy crackers. 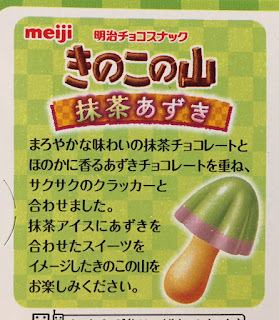 The image of the flavor is matcha ice cream with azuki, and please enjoy this Kinoko No Yama. The inner bag was orange-hued, and I couldn't picture neither matcha or azuki. 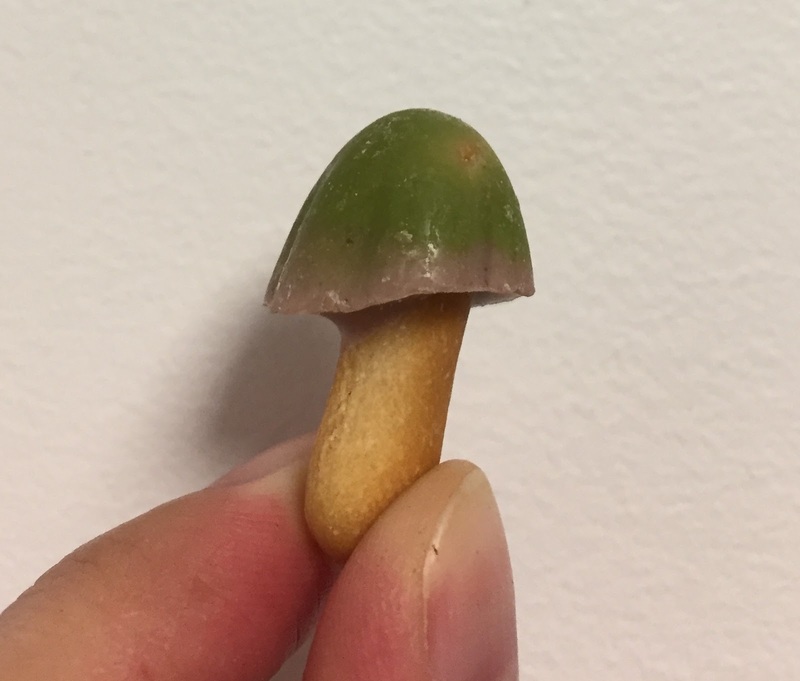 It had nice matcha scent when I opened the bag. I could see matcha layer and azuki layer easily. 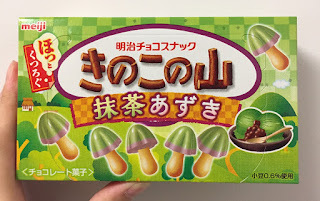 It mainly had lightly bitter matcha flavor and the aftertaste was also matcha. When I sniffed the chocolate, I could smell some azuki but I couldn't find it while eating. The cracker stem was light and crispy. Allergic substances; wheat, dairy and soybeans. 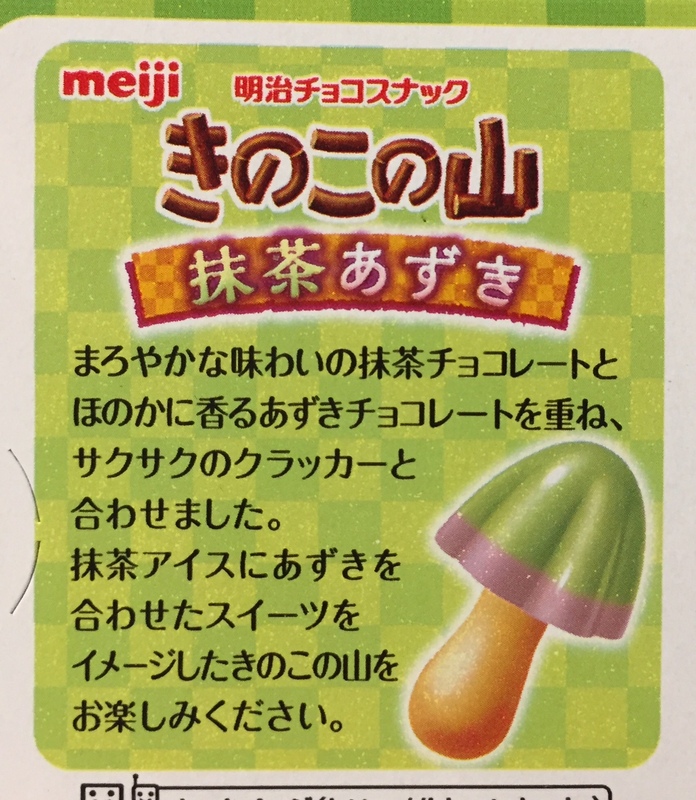 Kinoko No Yama "Apple & Milk"